"The Gyroscopic Collapse" -- Pictured: Bernadette (Melissa Rauch) and Sheldon Cooper (Jim Parsons). After Leonard, Sheldon and Wolowitz celebrate the completion of the top secret air force project, they are met with an unpleasant surprise. 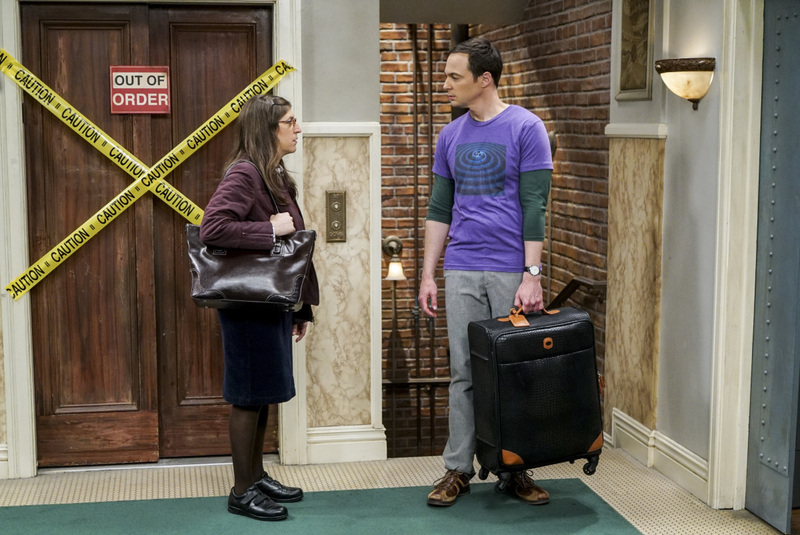 Also, Amy is offered a summer position as a visiting researcher, on THE BIG BANG THEORY, Thursday, May 4 (8:00-8:31 PM, ET/PT), on the CBS Television Network. Photo: Monty Brinton/CBS ÃÂ©2017 CBS Broadcasting, Inc. All Rights Reserved.